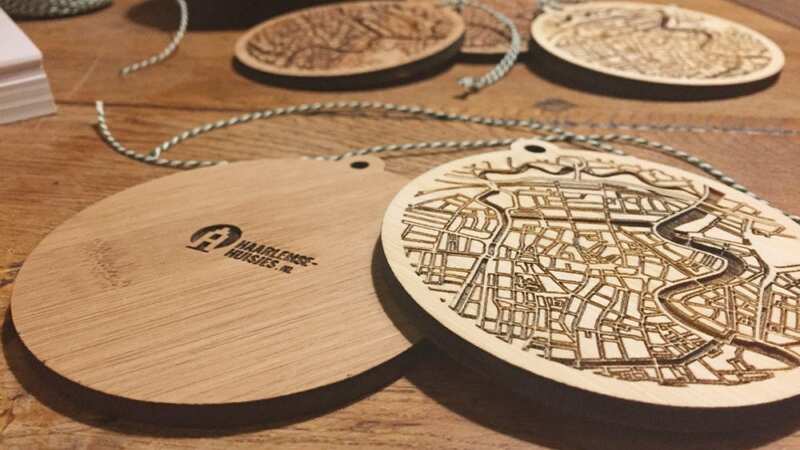 Are you looking for an original Christmas present for someone who loves Haarlem? Look no further, because we made the “Haarlemse kerstbal”. 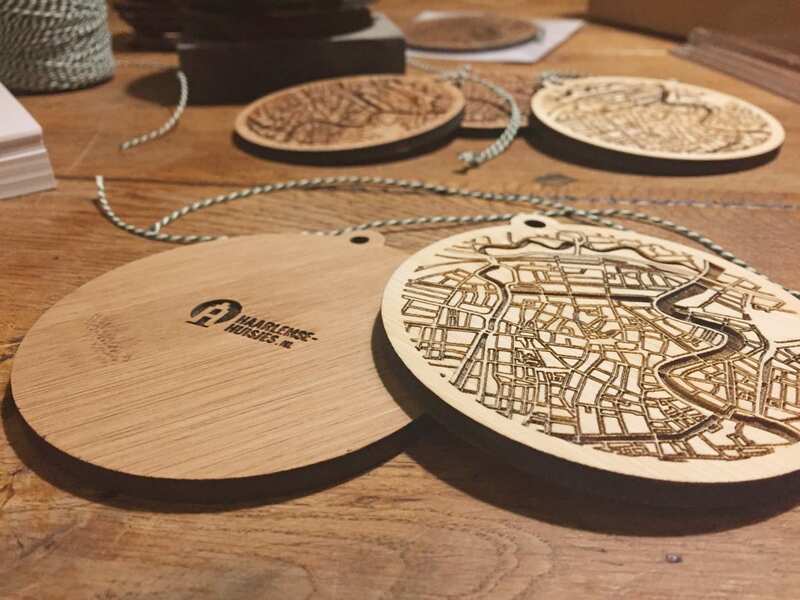 The city map of Haarlem engraved on a Christmas ornament. We put our laser engraving machine to work en made a whole lot of Christmas decorations. They are available in 2 different colours of bamboo wood: natural and caramel. The decorations are made of untreated wood. Every ornament is sanded, put together and packaged by hand. They can be sent to you by post. We love to see pictures of our ornaments in your trees, so please share them with us!